Tim Evans, 2013 Citizen of the Year - Evans Title Agency Inc.
Evans Title Agency, Inc. 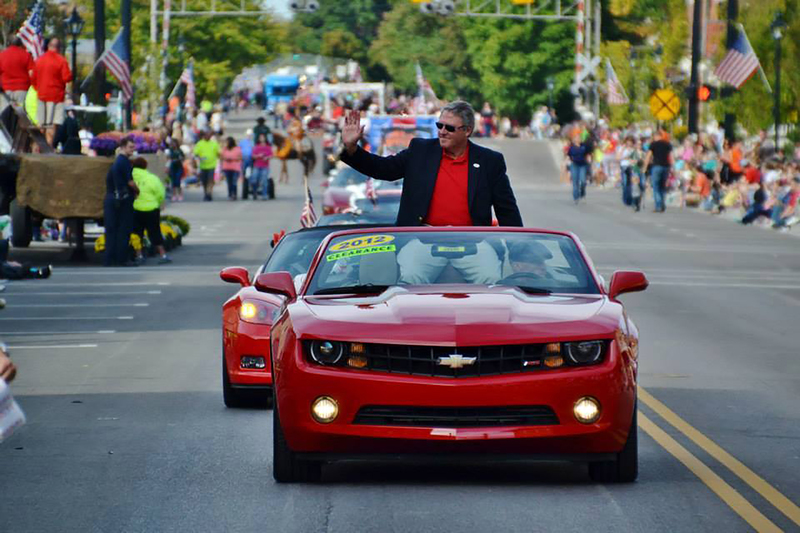 Owner, Tim Evans, was recognized as the 2013 Tipp City, Ohio Citizen of the Year at the 2014 Mum Parade on September 27th. Tim participated by passing out waves and smiles to the early morning crowd. He’s humbled to have been chosen as the Citizen of the Year and appreciative for all the local Chamber of Commerce has done over the years to help local businesses. 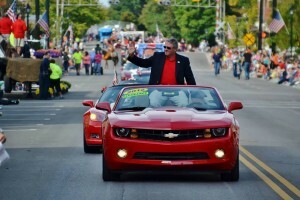 Tim Evans was recognized as the 2013 Tipp City Citizen of the Year by the local Chamber of Commerce. To honor his achievement, he took part in the 2014 Mum Parade.